for a gap in silence. I’d watch it as it unintentionally killed off its offspring. 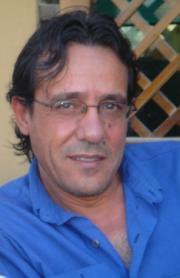 Ghassan Zaqtan (b.1954) is a prominent Palestinian poet, widely acclaimed across the Arab world. A translated selection of his most recent poetry in the last ten years, Like a Straw Bird It Follows Me, is due from Yale University Press in April of 2012. Zaqtan is also a novelist and editor. He lives in Ramallah.